TL;DR: new AFG blog at http://xpertcliques.wordpress.com by kaneofmelnibone. Very different voice and setting, same AFG spirit. Longer form: Writing aches. Which is why this blog is not updated often. I prefer writing longer content. This is why there’s not much original Adventure Fantasy Game material on the blog. Fortunately AFG runs very well using D&D and other clones material without adaptation, so it’s not a real problem. But sometimes you want the AFG stuff. And I have good news. For the time being there are a few monsters, spells, cults and a new setting. There are some yet unpublished bits that make me even more excited. Kaneofmelnibone does AFG uncannily well. First, all the material is very good, but that’s not the uncanny part. The uncanny part is that while we clearly do not share the same authoral voice, nor the material is something I would have written, he gets AFG so well that I completely agree on all the implementation of the crunchy bits. And the fluff very definitely agrees with me too. So if you fancy reading what can be done with AFG, add XpertCliques to your blogroll. 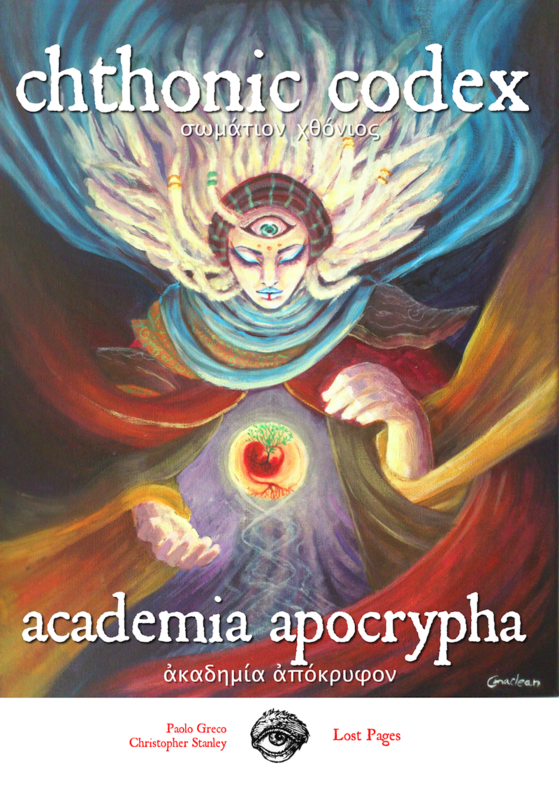 Today it’s the release date for Chthonic Codex – volume 2: Academia Apocrypha in Print+Pdf and also in PDF only version. The PDFs should be immediately available, the print copies should ship from April. Mind you, I have a new order fulfilling system that could either deliver stuff immediately to your inbox or switch on my neighbour’s oven. If you smell burning and don’t receive the files, fire off a support request from the shop. Before I start with the blurb, let me tell you a couple of things. First, I love magic users, and this is the book I’ve been wanting to write for 20 years. I could have made it longer, but 64 pages ought to be enough for anybody. If you buy it now and I decide to add extra material later, you’ll get the updated PDF as a free upgrade. Second, this book is crammed with fluffy crunch. All mechanics bits that went in were selected to support the setting. Took me ages, and I binned a whole lot of them. It’s been hard. And now, the announcement proper. Chthonic Codex – volume 2: Academia Apocrypha: this second volume counts 64 pages of fragments from the recently recovered Chthonic Codex. It’s the player’s handbook of the Chthonic Codex setting, as well as being a stand alone spell book with a bucket of crunch on top for Swords & Wizardry, other retroclones and Adventure Fantasy Game. It’s preceded by Cryptic Creatures and will be followed by another volumes (Mysteries & Mystagogues). It’s available in PDF, Print + PDF and three limited editions: Boxed Set + PDF, Codex Edition and Boxed plus Codex Edition (all are available here). Maenads are member of the Thiasos, the reveling retinue of Dyonisus. The frenzy of their god-inspired ecstasy sometimes makes them join bands of adventurers. This should be strictly a female class but it’s much better if not. Levels, saves, hits and combat: like a MU/Caster of the same level. They save as clerics, because they are crazy cultists. Literally. 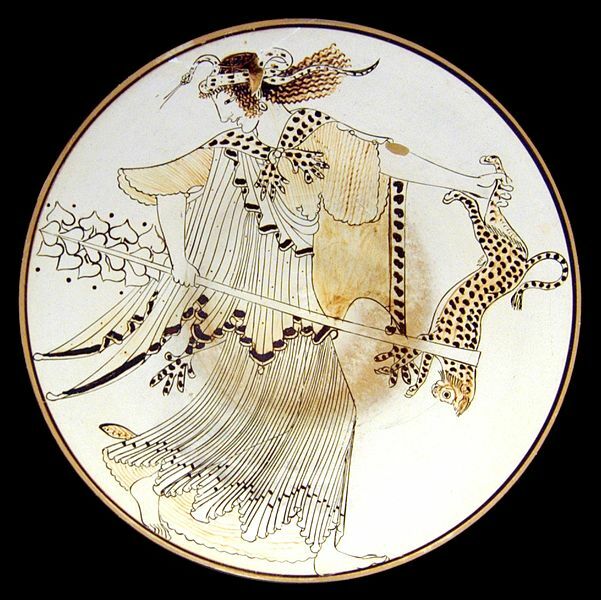 Wielding the Thyrsus: the maenad can strike their thyrsus to the ground to create enough water, honey, milk and wine to satiate and/or inebriate six humans. For every level gained after the power is learnt the thyrsus generates enough for six more humans. Suckling the Beasts: the maenad can charm mammals once per day for 1d6 hours. By suckling the charmed victim the maenad can make this charm permanent for up to 2 levels of charmed mammals. For every level gained after the power is learnt 2 more levels can be permanently charmed. Male maenads lactate too, of course. Girthing the Serpent: the maenad can charm a snake once per day. If successful the snake will coil around the maenad: while coiled the snake will leave the maenad to attack anybody attacking the maenad in melee. The snake, at dawn, will wake up the maenad and leave if it’s of level more than 1, plus 1 for every level gained after the power is learnt. Withstanding the Flame: the maenad is immune to fire damage. Tearing the Flesh: the maenad can exacerbate her frenzy and for the next turn do a bare handed tearing/grappling attack. This attack strikes as a magic weapon and deals 2d6 damage to living creatures. For every level gained after the power the maenad can enter frenzy an extra time per day. Ignoring the Iron: the maenad can’t be cut by iron and steel weapons. Non-bludgeoning iron weapons deal 1d4 damage instead. So, yeah, if you wonder what’s the kind of content you can find in the Chthonic Codex, this is it. The Codex tends more to weird/faerie tales though.